Modify Out of Office settings for many users at once. 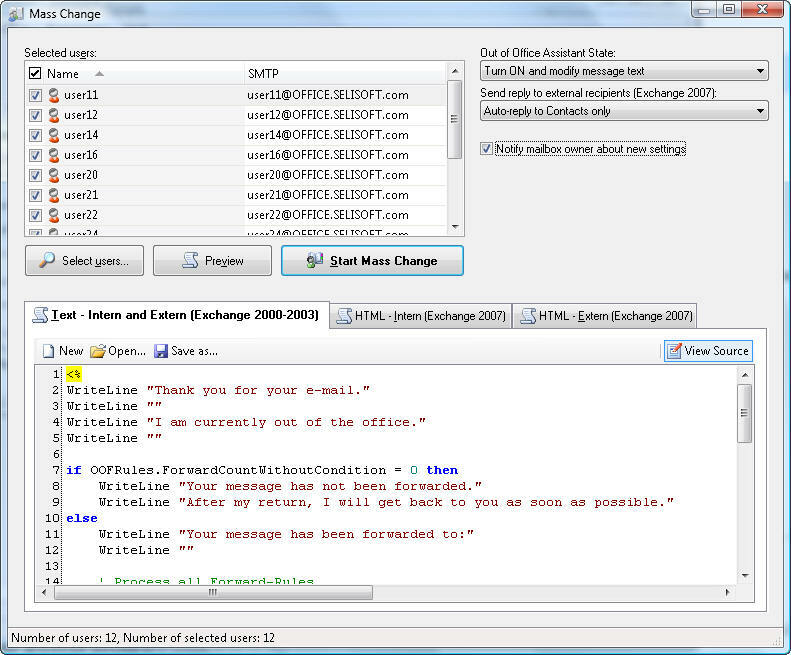 The Out of Office message text will be automatically created based on a scriptable template (incl. list of forward rules). In templates, all ActiveDirectory properties of mailbox owner can be used as variables.